The Lakota East Boys Golf Team fired a two-day team total of 596 to outlast Mason and claim their 4th consecutive GMC Championship at Glenview on Thursday. The Hawks built on a 3-stroke lead from Wednesday’s action to win the title going away with an 11-stroke margin over the Comets. Fairfield was a distance 3rd, 55 strokes off the pace. Lakota West was fourth overall and Sycamore 5th to round out the top 5 teams. This was East’s 8th conference title overall. 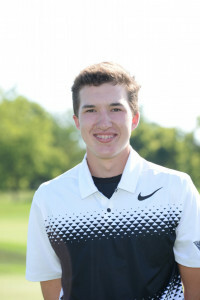 East junior Kyle Schmidt had the low score of the tournament with a 69-74 over two rounds for a 143 total. For his team leading efforts Kyle earned Medalist Honors and Player of the Year Honors in the GMC. This the 2nd year in a row that Kyle has won the GMC POY honor and third straight season for a Schmidt to earn this recognition (Will Schmidt 2015). Senior Alex Dunaway shot a 72 in the final round to secure the title for East and finished with a round of 151. Other scores for East: Brock Aten (10) 153, Peyton Houston (10) 154, Shane Murphy (11), and Drew Mahon (12) 156. All of these players along with Schmidt were named 1st Team All GMC. The Hawks will have a match at Upper Arlington on Saturday and play in the Vandalia-Butler Invite on Saturday, Sept. 30th. The OHSAA Sectionals will be played on Tuesday, Oct. 3rd. East will be defending this title and seeking to return to State at the District Championships on October 11th. CONGRATULATIONS TO ALL THE PLAYERS AND COACHES!